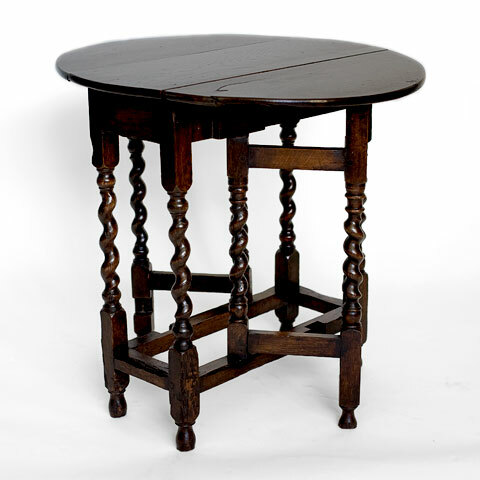 18th C - circa 1780 - English gate-leg table. Georgian. Oak. 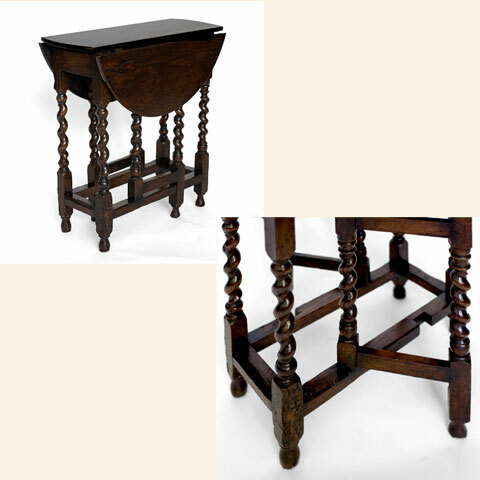 Eight twist-turned supports/legs. Good original, not refinished, color. Nicely proportioned oval top.